Focus on: Dental Developmental Defects - "Chalky Teeth"
Developmental Dental Defects (D3) is a term used to broadly describe anomalies that occur during the formation of the tooth inside a child’s jaw. Several different types of defects can occur, depending on which process of development is affected. Some D3s affect all of the teeth, whereas others only affect a few, and they vary in severity and prevalence. D3s can be considered a form of congenital disorder or birth defect. They are extremely common with a high prevalence estimated at 15% of the childhood population. It is a silent epidemic damaging the teeth of 1 in 6 children. Those diagnosed with D3s will carry the burden for the rest of their life, as there are considerable liabilities associated with the management of dental defects over the course of a lifetime. There is an estimated projected global incidence of 12 million new cases per year. Enamel hypomineralisation is colloquially known as ‘Chalky Teeth’ and is where teeth develop enamel that is less mineralised. The severity varies, however, the enamel is generally rough, soft and porous. Enamel is the hard protective layer of the tooth and when it is damaged the tooth is more prone to sensitivity and decay. Additionally the affected teeth are more susceptible to wear because they are less resilient to chewing forces and dietary acids. The child affected may suffer sensitivity (dental pain) from hot or cold foods and drinks or tooth brushing, which varies from a minor inconvenience to daily disruption. The hypomineralised teeth are sensitive because the porous enamel provides reduced or no thermal protection for the soft inner dentine layer of the tooth where the nerve endings are located. This sensitivity can create a vicious cycle, making cleaning the already damaged teeth a particular challenge and further compounding the child’s risk of developing decay. It is commonly known as ‘Molar Hypomin’ because it most often affects the first adult molars. These teeth are otherwise referred to as the ‘6-year-old molars’ because of the timing of their eruption (growing into) the mouth. The adult incisor teeth can be simultaneously affected, in a condition known as ‘Molar Incisor Hypomineralisation’ which then also affects the appearance of the front teeth. In some cases other molars can be affected, most commonly the baby molars known as the ‘2-year-old molars’. Having trouble explaining to your child about their hypomineralisation? The D3 Group is a research organisation based in Melbourne who has created a useful online storybook to which children can easily relate. Enamel hypoplasia refers to surface pits and grooves in the teeth that occur because of a decreased quantity of enamel produced. These isolated depressions in the enamel are caused during the development of a tooth, specifically by the cells that produce the enamel. They are very common and generally aren’t cause for concern, except they can trap food and increase the risk of developing decay. Although quite different to enamel hypomineralisation, the conditions tend to get confused because of similarities in their technical names. Fluorosis refers to the speckled white patches or lines on adult front teeth that are caused by ingesting too much fluoride while the teeth are developing. Most cases of dental fluorosis are mild and only of an aesthetic concern, therefore secondary to the protective anti-decay benefits of fluoride. In developing countries where bore water is often used, much more severe forms of fluorosis are seen, and include pitting and discoloration of the enamel. There are stringent guidelines in place to avoid fluorosis in Australia, and the majority of fluorosis here occurs because of inappropriate use of fluoride supplements rather than water fluoridation. This includes children eating large quantities of adult toothpaste or parents giving their children additional fluoride drops or tablets when their drinking water is already fluoridated. Amelogenesis imperfecta (AI) is the most severe type of D3 and is quite rare. It is a genetic disorder where the enamel of all of the teeth is affected. There are many different types of AI dependent on the genes affected. These types vary in severity from decreased mineral content of the enamel to total lack of enamel present. What causes hypomineralised and hypoplastic teeth? Hypomineralisation and hypoplasia are the most common developmental dental defects. They both occur because of a disruption in the developmental process of the tooth, which occurs when a child in utero or in the first few years of life. There are over 100 different sources identified in causing hypomineralisation and hypoplasia including infections (tonsillitis, chest infections, ear infections and acute gastrointestinal infections amongst others), fevers, convulsions, nutritional imbalances, electrolyte imbalances, measles, chicken pox, hand, foot and mouth diseases as well as many others. Different teeth develop in children’s jaws at different times and the timing of one of these illnesses will coincide with the development of the affected teeth. How are hypomineralised teeth managed? Management of hypomineralisation focuses on preventing decay and controlling sensitivity. The D3 Group has a great guide for your home care of hypomineralised teeth. Treatment is dependent on the individual case and the severity of the condition. If the incisor teeth are affected it may be of an aesthetic concern, and there are a variety of treatments available to restore a healthy happy smile. In mild scenarios affecting the molar teeth, fissure sealants can be placed to protect the weak enamel from decay. However in more severe cases the enamel may be too damaged for any type of restoration to adhere to, or the volume of the tooth affected may be too large to be treated with a conventional fissure sealant or filling. In those cases a paediatric stainless steel crown may be required to protect the tooth until a permanent gold or porcelain crown can be placed. There are a variety of methods to treat the sensitivity associated with hypomineralisation, which is again based on the severity of the condition. Tooth Mousse™ is a milk-derived protein that contains high concentrations of the calcium and phosphate minerals, which bind to the teeth, providing relief from sensitivity as well as strengthening and protecting the teeth. In mild cases Tooth Mousse™ can be applied nightly to the affected teeth to prevent decay and manage sensitivity. Your Medland dentist and hygienist may suggest Tooth Mousse Plus™, which contains the additional benefits of fluoride. However in more severe cases of sensitivity, placement of a paediatric Stainless Steel crown by a specialist paediatric dentist may be necessary to allow the child to eat, drink and brush their teeth without pain. In severe cases of hypomineralisation your Medland dentist may refer you for a consultation with an orthodontist, in order to decide whether to extract the severely affected teeth. The philosophy behind this is to avoid exposing the child to a lifetime of repetitive dental care for these teeth. 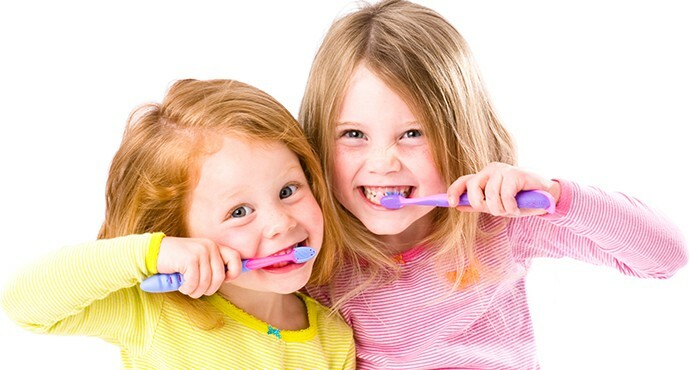 Additionally, removing the affected teeth may be beneficial if the child already has crowding of their teeth. If the affected six-year-old molars are removed in time, the 12-year-old molars still developing in the bone can grow forward into the space left behind. The wisdom teeth may then be able to fully grow into the jaw, so the child will still have two adult molar teeth. Developmental dental defects are one of many conditions that Medland dentists and hygienists screen for in children’s routine checkup and clean appointments. We routinely support our young patients who have hypomineralised teeth and other dental developmental defects. Our Medland dentists and hygienists assist children to manage their condition with individualised home care and long term treatment plans. Our experience in managing more complex cases has fostered excellent relationships with Brisbane’s specialist orthodontists and paediatric dentists so we can help your child receive the best possible care from the entire dental team.